We offer our Learn To Play Program during our Spring, Fall and Winter sessions. The Spring session is offered on Saturday mornings at Skyway Arena. The Fall and Winter sessions are Sunday mornings at The Toronto Rock Practice Facility located in Oakville. This Program is a skills development program for young players between the ages of 3 and 6 years old. 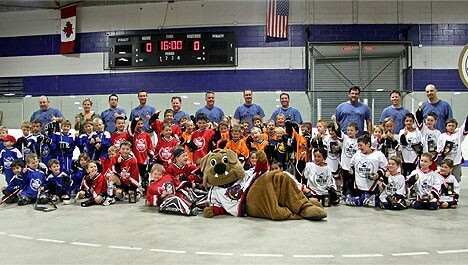 The object of the program is to teach all participants basic ball hockey skills while having fun. Weekly repetition allows participants the opportunity to understand and practice the drills thereby developing basic playing skills. There will be 4 drills during the hour session. Each drill is about 7 to 8 minutes long. After the skills program there will be a game approximately 25 minutes long. We expect a steep and quick learning curve for all players as you see them improve on a weekly basis.